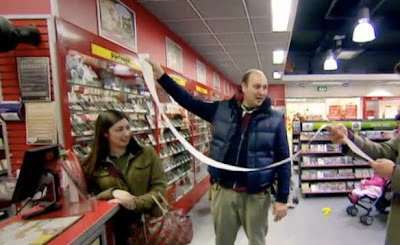 Channel 4 TV’s ‘Get Your House in Order’ chose CeX as the place to sell hundreds of games, DVDs and Blu-rays for the best cash prices. They popped into CeX Manchester Arndale and got a pile of cash within minutes. ...followed by boxes of games, our strong man did some heavy lifting. The cash payout from CeX was huge, as was the receipt!